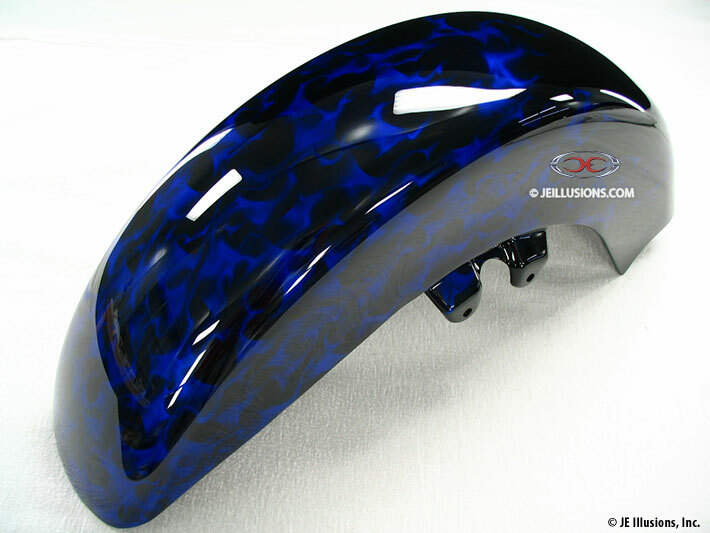 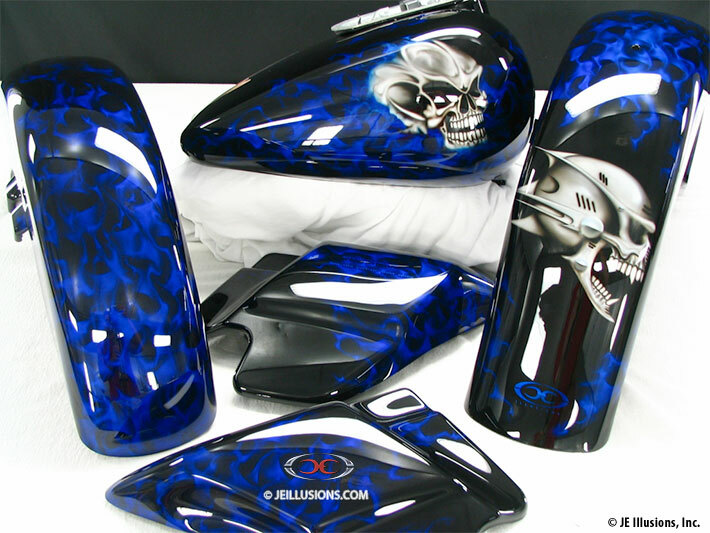 This paint set utilizes a two-tone color scheme of cobalt blue over gloss black. 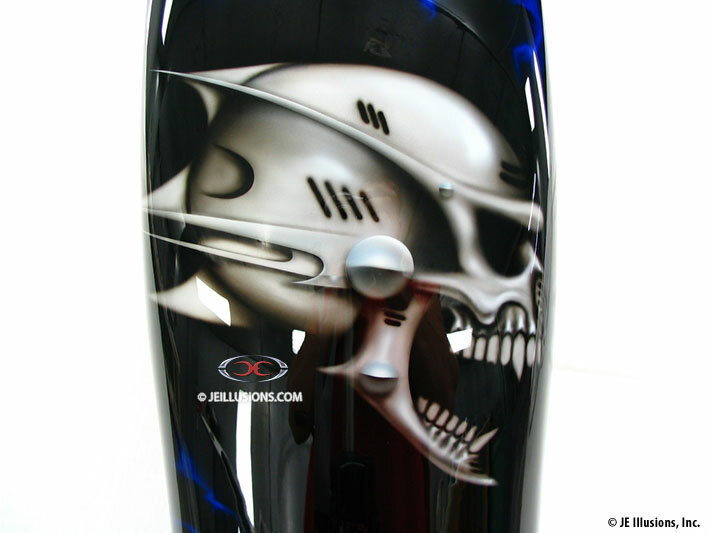 The alcohol flames are heavy density with a short transition into black. 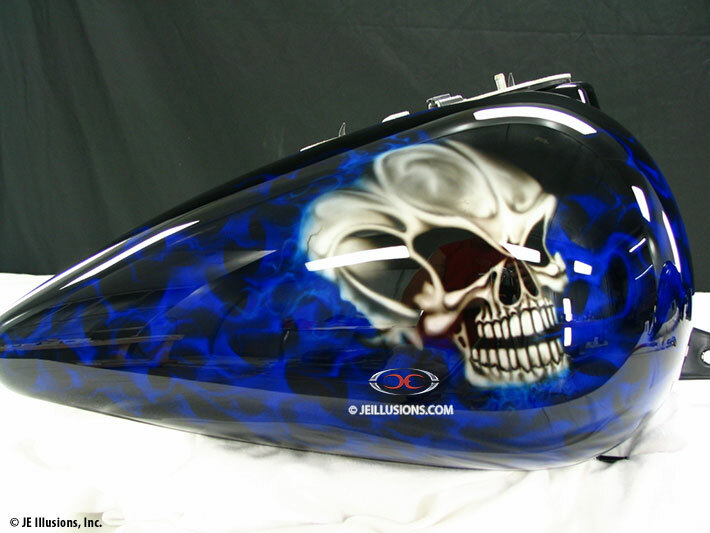 Skulls adorn the sides of the tank and the rear fender.